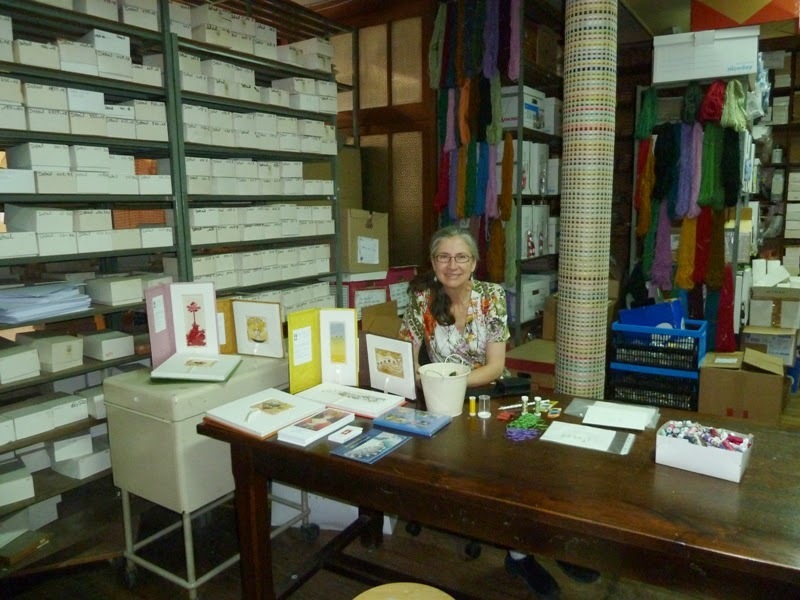 I go back to the boutique au Ver à soie (The Silkworm Store) to fetch some staples to prepare the workshop that I will teach at the event la Nuit de la broderie (The Night of Embroidery). This will take place at the end of September. I also get some fine wool skeins from Aubusson (laine fine d’Aubusson), but I decline the Silk Ribbons. 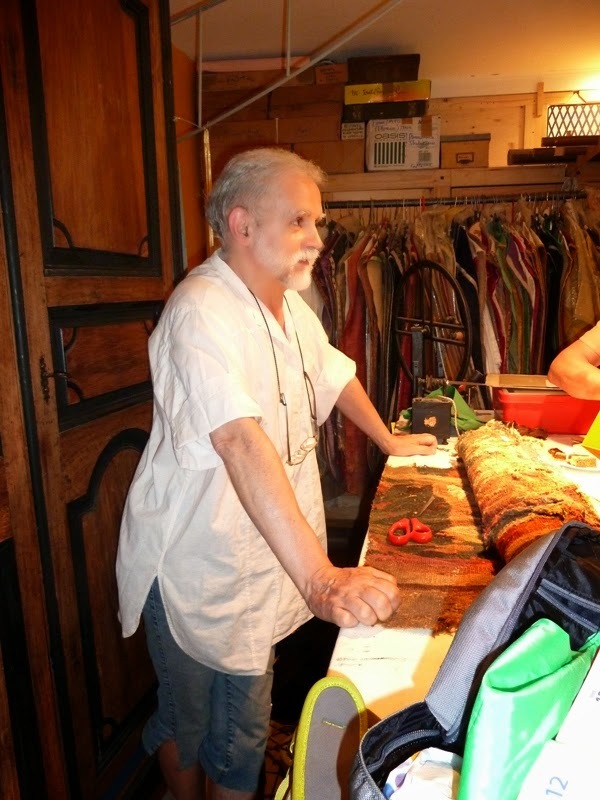 At au Ver à soie boutique there are embroidery classes every month and all sorts of activities. We study the stitching of mirrors. They are little round shapes of mica that we immobilize with a drop of glue. The next step, we mount them with metallic threads. 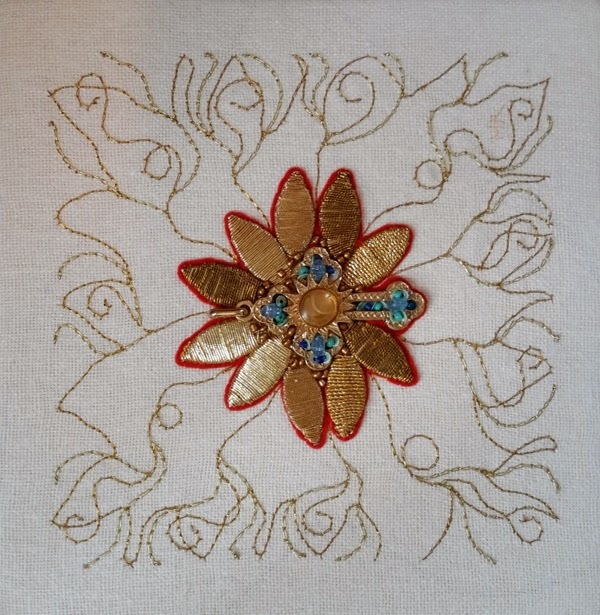 Of course, experimented embroiderers don’t need the glue before embroidering them. 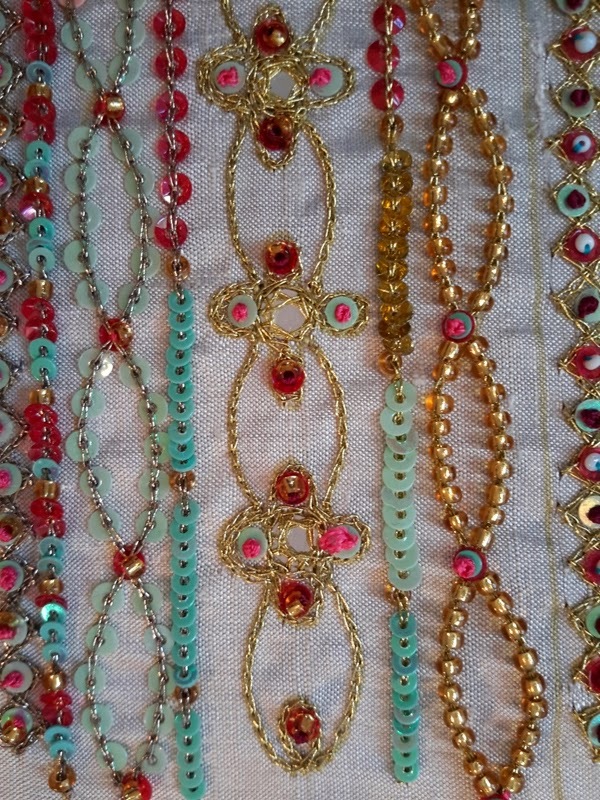 For our stitching workshop we combine elongated Knot Stitches with pearls and sequins. This is sufficient to design lots of motifs and let our imagination to fly away. I travel by train toward Joigny, a little city at one hour road from Paris. I am meeting up the Great Master Philippe Cécile. For a living, Monsieur Cécile restores precious ancient textiles. He is one of the few specialists whom still know the secrets of certain noble old techniques. He offers me the privilege to have access to his knowledge. The entire day is devoted to learn the technique of the Enroulé religieux (The Nun’s Rolled Thread). This technique was abundantly used during the era of Louis XIV of France, at the end of the 17th century. To categorize that kind of embroidery stitch we could say that the Enroulé religieux belongs to the wide family of the Gold Thread Couching Stitches. This technique, executed more rapidly, was invented by nuns. Using this, they saved time, consequently they saved... money in the confection process. Monsieur Cécile proposes a motif of rose to practice my new knowledge. Each petal is stitched separately and afterward all of them are reunited on the fabric, illustrating a flower designed in relief. For the purpose to hide the shortcuts of this technique, the embroiderers had a little trick. The clients were confounded in such a way, it wasn’t possible to differentiate the classic Gold Couching technique (demanding more time to perform) with the faster technique of the Enroulé religieux. With Monsieur Cécile I also learn to set up a rectangular embroidery frame, with a faster method but a stronger method: to set up the frame like on a horse back! I now know how to stop a too long thread by building a bridge and the best way to stitch a braid tape (soutache). I go back home in Paris with some golden thread to practice the Enroulé religieux technique. At first sight, it seems simple enough to master, but in fact it isn’t that easy. 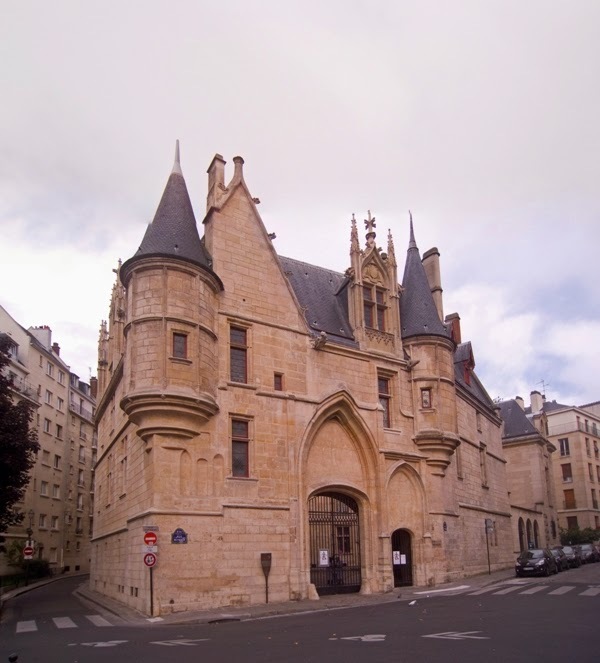 In the neighbourhood of the Cité international des arts (where I live), stands the Hotel of Sens, hosting the exhibition Au fil des marquoirs, trésors des Pays-Bas 1600 – 1920 (From a Sampler to Another sampler, treasures from Netherlands, 1600 – 1920). Samplers are pieces of fabric on which young girls were practicing their Cross Stitch embroidery exercises. The custom was to initialize clothing and linen by embroidering. This way clothes of each member of the family were easily identified. A useful information, when you think the laundry was washed in common at the public washhouse. The exhibition shows also many pieces of Darning technique. The fabric was expensive in the 17th century and the 18th century. It explains why a big part of the young girl’s education was consecrated to taking care of clothing by darning it in the most efficient way possible. 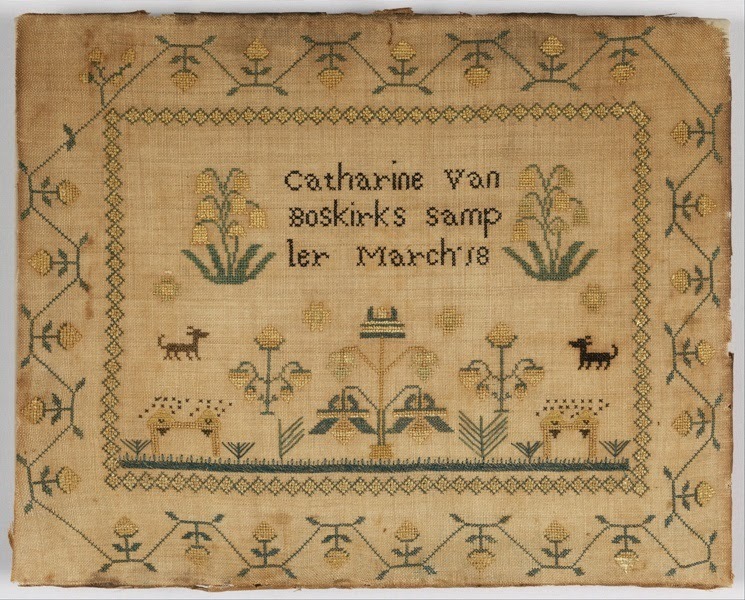 This is a beautiful exhibition, showing over a hundred samplers and darning exercises, witnesses of a former way of life. The layout, the photo search and the translation are made by Lucie Daigneault. 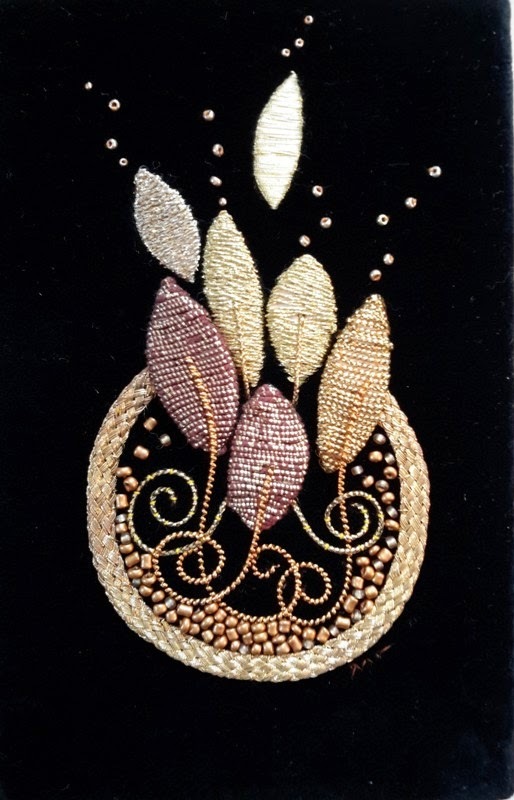 What beautiful works of embroidery! Thank you for sharing!